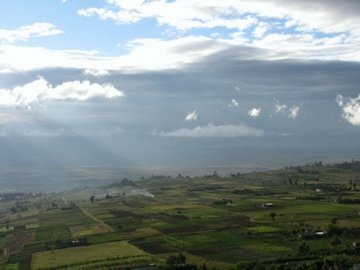 This was taken on the drive from the airport to Nakuru. By chance I was able to hold the camera still long enough to get a good shot. If you have traveled to Nakuru you know what I mean by bumpy roads! Thank you! The key I found to good photos is to take the ones you want to take. The photos that are forced are good but not the one people say "Oh. Wow". Just have fun! (oh....never let someone kill a shot by saying "please do not move your arms out side of the vehicle".) Be free to take a chance. This is a magnificent picture of a beautiful part of Kenya. Thanks for posting it here.